Kingston Cubs, are children from classes, Nursery, LKG, UKG, in the age group of 2.9 to 4.9 years. These years are formative years and at this age children are greatly influenced by the environment they grow in. This is a period when children perceive the world around them to be a place for exploration and of unlimited opportunities. They look at it in awe and wonder. They are not restricted by boundaries. They are most receptive and are affected by every experience they encounter. Understanding this is crucial to planning an early childhood programme that helps develop a child holistically. 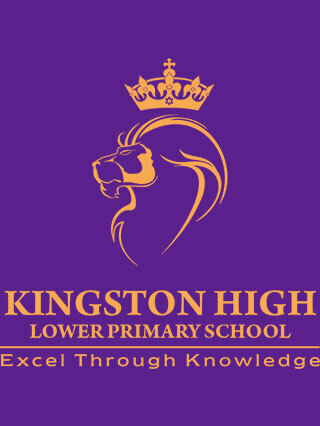 At Kingston High we treat our Kingston Cubs with love, care and respect. Our curriculum is theme based that integrates concept formation and skill development. The curriculum connects all classroom learning with real life experiences, facilitating better understanding of concepts. Rather than dealing with subjects that are isolated and fragmented, thematic instruction makes learning happen within the context of a coherent unified whole. Learning includes methods that are fun, experiential, arouses curiosity, gives freedom of expression and develops creativity. Kingston Cubs’ activities based on the theory of Multiple Intelligences vary at the different levels, depending on the needs of that particular age group. These activities are pre-requisites to a more structured formal learning environment that will follow after the Kindergarten Years.